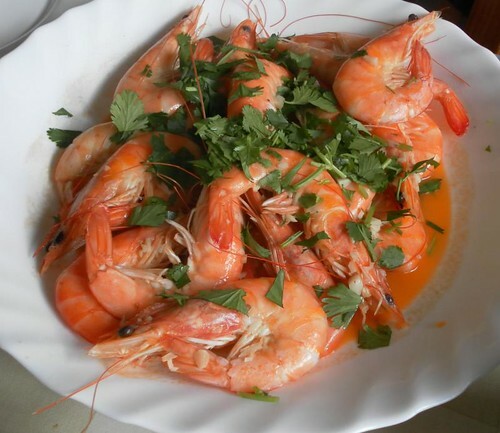 Langoustines with lots of garlic and cilantro. We ate at an Asian wok buffet place. Not exactly haute cuisine, but fresh and well-cooked food. (And kid-friendly.) Titus LOVED it, especially since it had both sausages (great ones) and meatballs on sticks. Churros. I always get a bag when we're in Spain, and they're great when they're eaten just-made, still hot. I want to try making my own sometime! 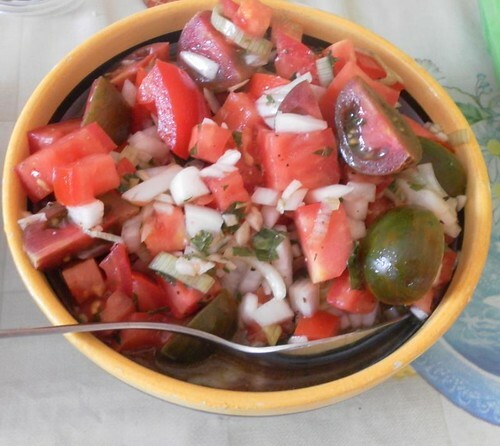 A great salad with tomatoes, garlic, onion and sherry vinegar. Titus eating paella. Yes, the recipe is coming! 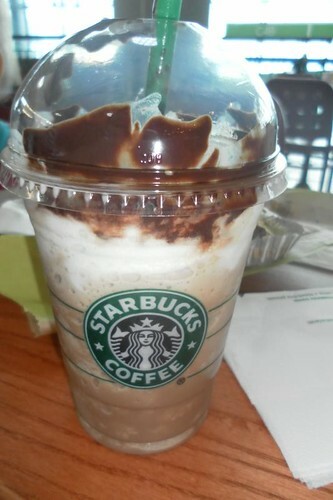 And... as we walked hurriedly towards the gate on our way home, I saw... Starbucks. HELLO, Mocha Frappuccino! Yum!! I love Spanish food (and Greek food and Starbucks too)! Jag gör våra churros. Inte med ett lika proffsigt utseende, och inte stjärnformiga, men bra. M äter och ser glad ut. Jag antar att det är ett bra betyg :). Jag saknar ofta en beskrivning över spansk mat som inte bara är tapas. Hi, I am sure you will make churros at home. It cannot be easier, and they are absolutely delicious when still hot and with a lot of sugar (and with a hot and thick chocolate, they're heavenly). I am a bit surprised, though, by your election as Spanish food, but, in any case, it looks as you had a wonderful time here in Spain. Delicious looking foods! I can't wait to eat this! It's a pasta salad. 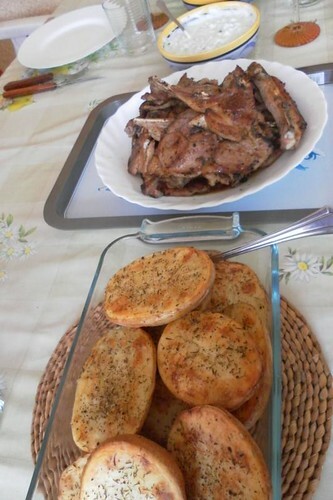 Very yummy and can be prepared quickly ;-). Starbucks looks gorgous all around the world!